When the days are cold, but the sun is bright, many archers still want to get out and shoot! The problem has always been finding a shooting glove that will provide protection from the cold. With normal shooting gloves, your fingers get too cold to shoot well. 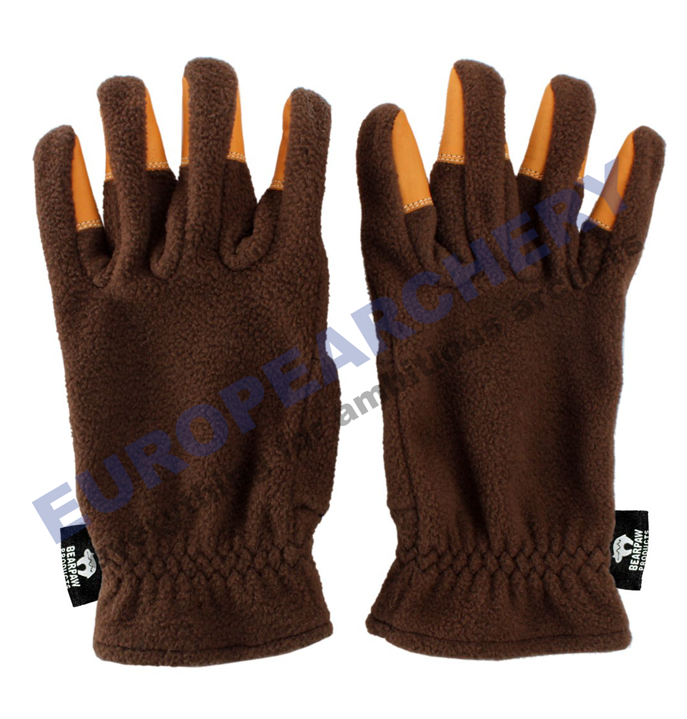 With our new „Winter Gloves“ you can shoot all day in the cold with comfortable hands and warm fingers! 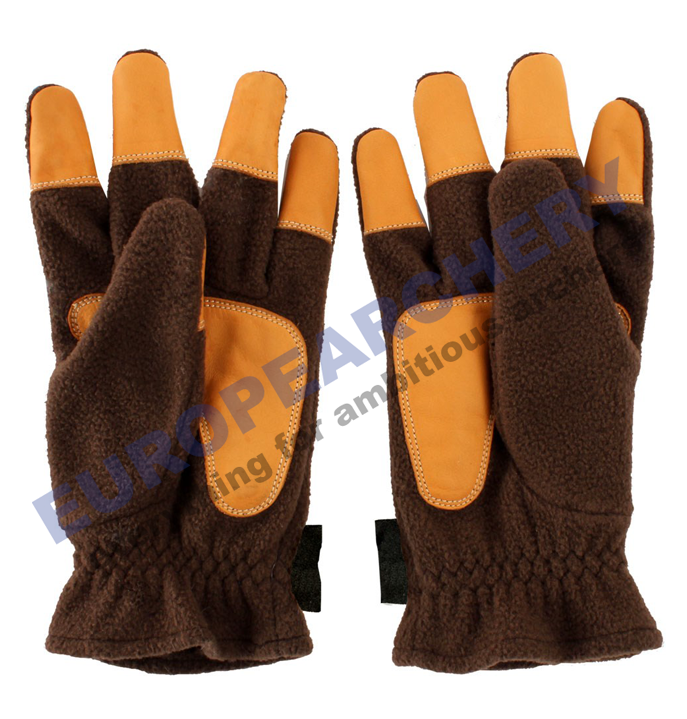 Our new Winter Gloves are made with soft and warm fleece to protect your hands from the cold. They have cow leather on the palms for a good solid grip on your bow and on the finger tips to give you a good feel of the sting and to ensure smooth releases for accurate shooting. If you like to shoot your bows all year, even in the cold season, order a set of our Winter Gloves today so you can shoot in comfort even on the coldest days. 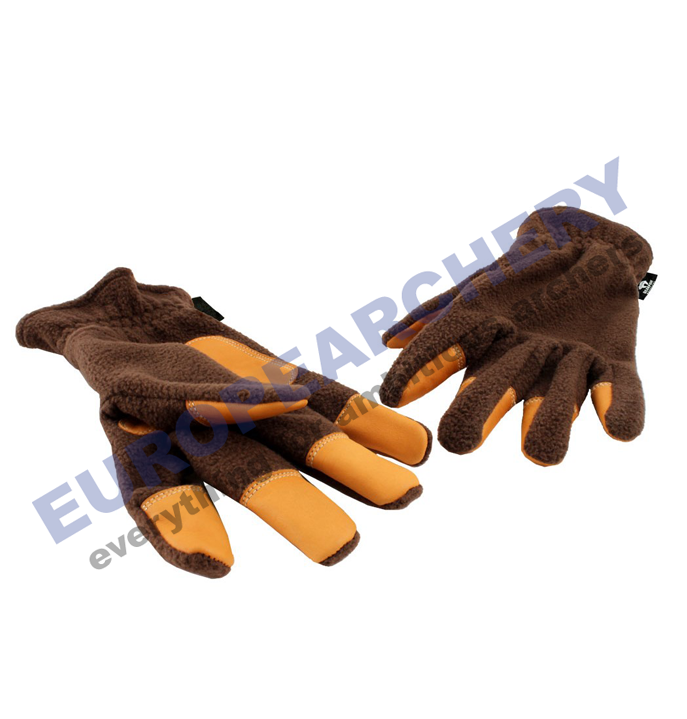 The perfect shooting glove for the cold days of autumn and winter! The gloves turn out a size bigger than our leather gloves. Due to this we recommend one size smaller.